How Does a Deep Value Investor Find New Ideas and Manage Risk? 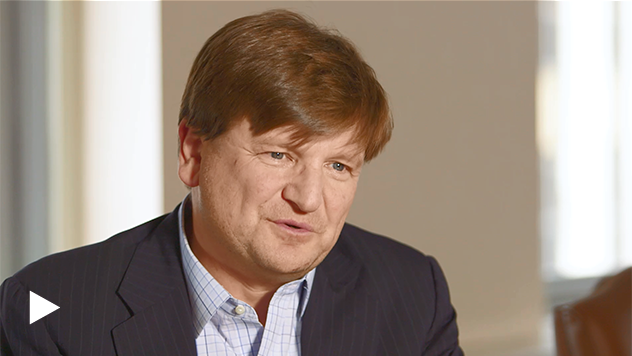 Portfolio Manager Bill Hench explains how he finds opportunities, avoids value traps, and manages risk using his deep value strategy. How do you uncover new ideas? There are thousands of stocks in the small and micro-cap world. And do we have a continuous stream of ideas? We do. And we do because there are always opportunities that present themselves because of things that happen in the markets. So, unexpected events can lead to stocks that become cheap sometimes with reason, sometimes without. But we do have a continuous source of ideas because we're constantly reading the trade journals, we're constantly meeting with managements, listening to conference calls, going to conferences and searching through ideas that we've owned in the past. So, there are a lot of different places to look. Again, it's continuous because things are constantly changing. So, what might not look attractive today can change tomorrow just because an event that no one expected to happen occurs. How do you avoid value traps? We would like to say that we avoid value traps all the time, but we can't. It's part of the landscape. Things will present themselves as being very cheap, and they will also present themselves as being situations where they can get better in time. Sometimes that doesn't occur or sometimes it occurs and the market doesn't care and the valuation doesn't change. These things happen. You try to keep them to a minimum, but there's no way to avoid 100 percent of the value traps. How do you manage risk in this higher risk area? We manage risk in an environment where liquidity isn't so great and where access to financial markets isn't so great and where managements, although they're very, very good, tend to be thinner, obviously, than the big companies. We manage it in two principle ways that we've found effective over doing this for a very long time. One is to keep the portfolio very diverse, so we always have a lot of names. We don't have any concentration. In this part of the market we think concentration is very dangerous because of the liquidity and because of those other two things that I mentioned about the managements and access to financial markets. And the other thing that we do is keep the portfolio cheaper than the market. So, if you look over the long term, you'll see that our portfolio is usually significantly at a discount, on a price-to-book and price-to-sales basis versus the Russell 2000. The thoughts and opinions expressed in the video are solely those of the persons speaking as of January 5, 2017 and may differ from those of other Royce investment professionals, or the firm as a whole. There can be no assurance with regard to future market movements. Russell Investment Group is the source and owner of the trademarks, service marks, and copyrights related to the Russell Indexes. Russell© is a trademark of Russell Investment Group. The Russell 2000 Index is an index of domestic small-cap stocks that measures the performance of the 2,000 smallest publicly traded U.S. companies in the Russell 3000 Index. The performance of an index does not represent exactly any particular investment, as you cannot invest directly in an index.